If you are considering an academic appeal to the results you’ve received this year, our Advice Centre are here to help. 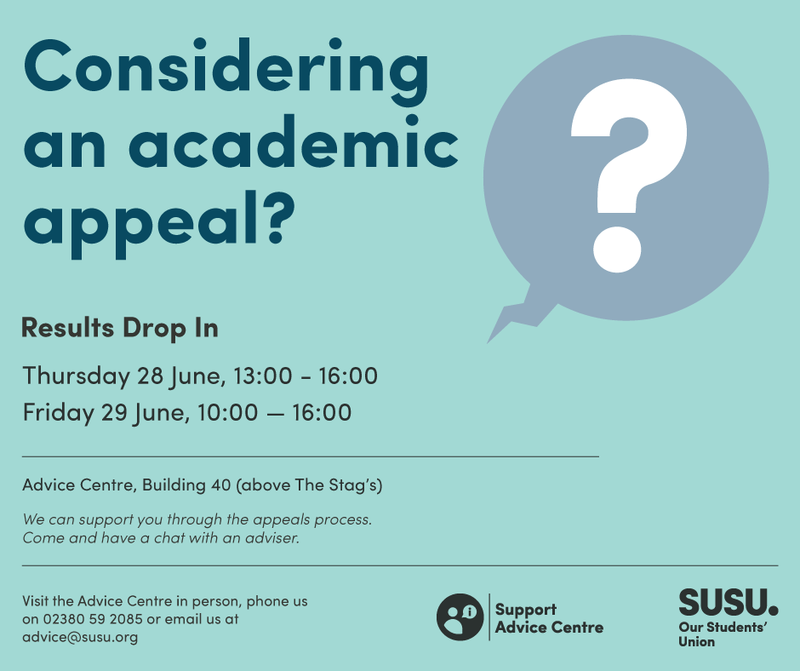 On Thursday 28 June 13:00 – 16:00 and Friday 29 June 10:00 – 16:00 we will be running Results Hub Drop-Ins. 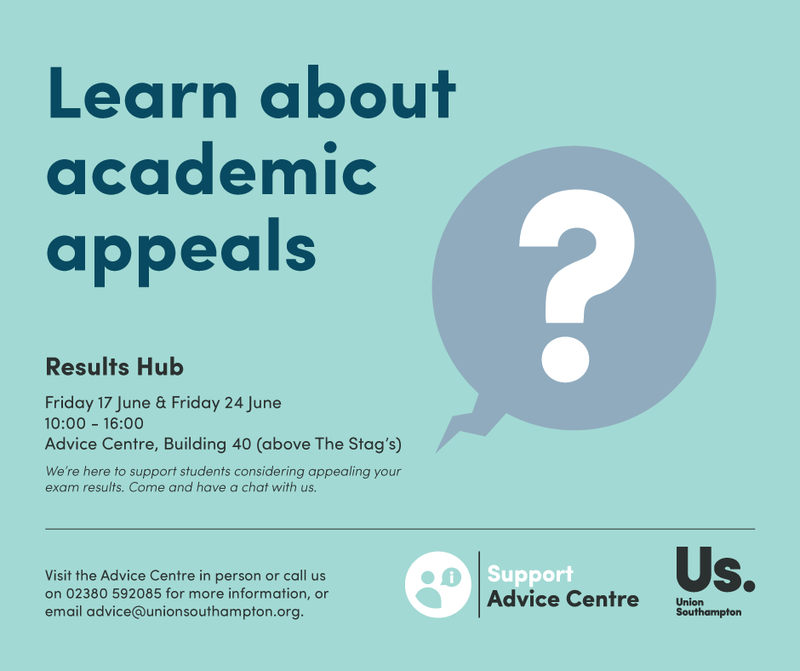 Our Advice Centre team are independent from the University and will be available to support you through the appeals process. There’s no need to book, just turn up and one of our team will be able to speak to you. What is an academic appeal? If you’re getting your results on Thursday June 25, and are worried they might not be what you’d hoped for, don’t panic. Obviously we hope you all get the results you want, but if not we are going to be providing the Results Hub, which will be your one-stop-shop to all your post exam needs. You’ve experienced the petting zoo, and met the puppies, but now we have another update about this year’s Stress Less Fest activities. 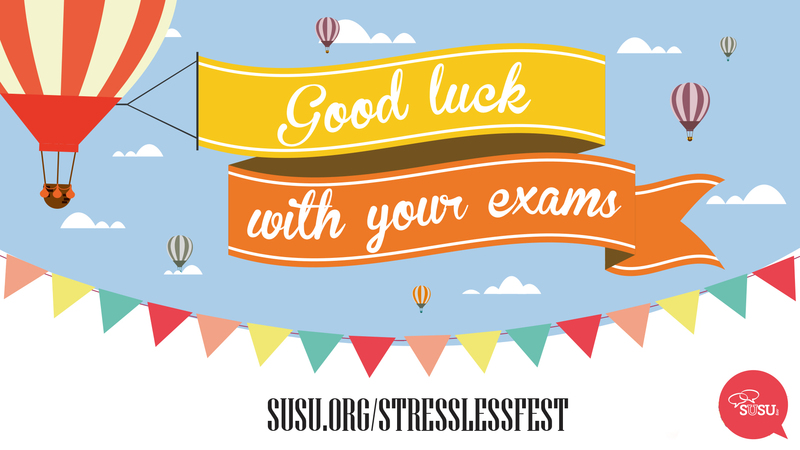 We kicked off the ever-popular Stress Less Fest for 2015 two weeks ago today – while many of you are now celebrating having made it through your exams, we know that there are still plenty of you soldiering on night and day in the library. 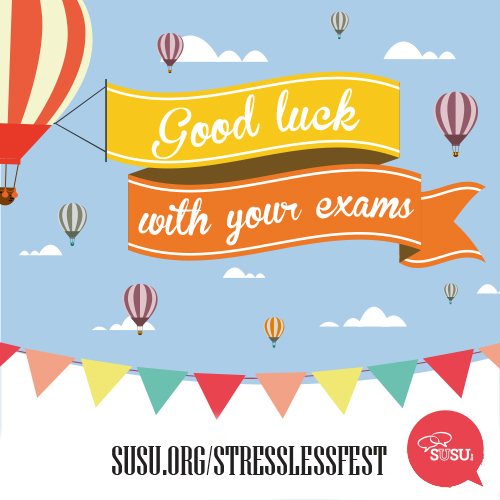 Don’t worry – there’s plenty of events still to come this week to make sure you Stress Less about those impending exams.